Toyota and Servco Pacific Inc. (Servco) have partnered to test a new car-sharing technology in Honolulu. The suite of software and services is an important part of Toyota’s Mobility Services Platform (MSPF) which will offer various functions to enable a more convenient mobility experience. 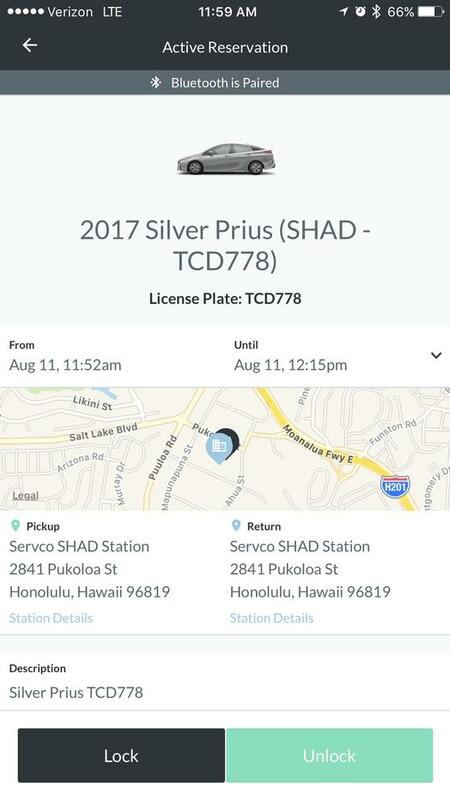 When the employee-only pilot testing program concludes, Servco, the distributor of Toyota vehicles in Hawaii, will use the car-sharing technology to launch a new Honolulu-based car share business by the end of 2017. The car-sharing application will support driver identification and authentication, plus payment and fleet management for car-sharing businesses. It also includes a Smart Key Box (SKB), which lets users lock and unlock vehicles via a smartphone. The application was developed in-house and is managed by Toyota Connected North America (TC), the global technology strategy business unit for Toyota. “This new application demonstrates the power of combining Toyota’s unrivaled global manufacturing and technology capacity with dealers’ extensive local operations to provide consumers with more convenient options to move,” said Shigeki Tomoyama, President of Connected Company, Toyota Motor Corporation. Since January 2017, Toyota has been working with Getaround on the car-sharing pilot program in San Francisco, Calif., verifying convenience and usability of the SKB. Thanks to the pilot test with Servco, Toyota continues to enhance the car-sharing application and MSPF, which seeks to leverage the power of connected vehicle systems to support new mobility businesses. Eventually, Toyota will also begin working with other dealers and distributors to tailor the core technology for their markets, aiming for safe and more convenient, customer-centric mobility services. Launched in 2016, TC was created to significantly expand Toyota’s capabilities in the fields of vehicle data science, machine learning, and contextual data services development, and provides a wide range of data and computer science services across Toyota’s global operations.